The pattern of specific antibodies to walnut is age-related in walnut allergy sufferers and correlates with the severity of allergic reactions. Researchers from the Paul-Ehrlich-Institut come to this conclusion together with various clinics and researchers from Germany, Switzerland, Sweden and Spain. The walnut is a strong trigger of food allergies in children and adults. Walnut allergies are often associated with severe allergy symptoms. An estimated three percent of Europeans develop an allergy to walnut. Allergic reactions are caused when the body forms antibodies of the immunoglobulin-E (IgE) class against usually harmless walnut components. So far, little has been known about which of the various potentially allergy-causing walnut components (antigens) contribute to the elicitation of allergic reactions, and to what extent. Such knowledge is required in order to characterise the allergy more accurately using laboratory diagnostics (in-vitro diagnostics). In addition, the relationship between the severity of allergy symptoms and the triggering allergen had not yet been investigated in a uniform test protocol. Scientists led by Professor Barbara Ballmer-Weber, University Hospital of Zürich, in co-operation with researchers from the Paul-Ehrlich-Institut (PEI) under the direction of Professor Stefan Vieths, vice president of the PEI, and staff of clinical institutions in Germany, Switzerland, and Spain carried out this multicentre study. 91 walnut allergy sufferers and 24 controls participated in this study. Walnut allergy was confirmed by food challenge tests provided that the severity of the allergy allowed for the testing. The presence of IgE antibodies specific for ten walnut protein components or protein fractions was tested in blood samples, both from allergic and control subjects. Furthermore, skin tests (prick tests) with various allergen extracts were performed. 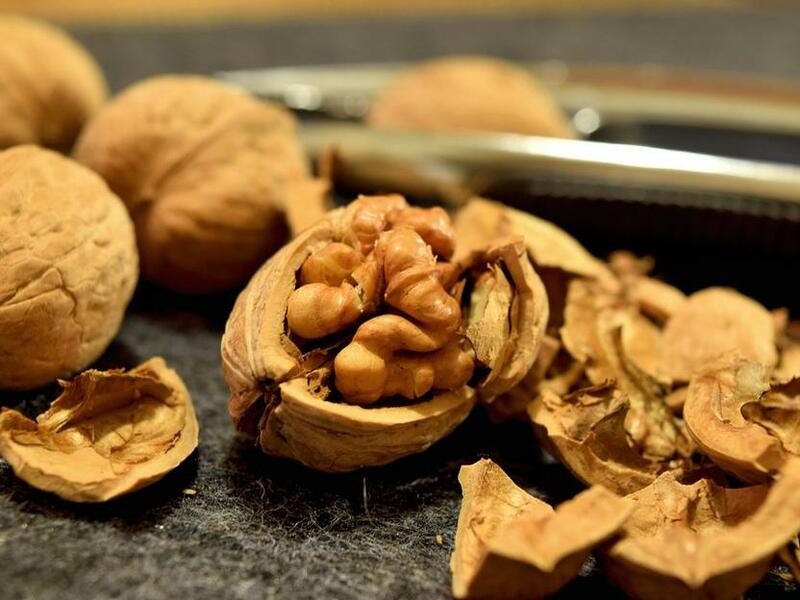 The researchers found that the sensitisation to walnut storage proteins as a rule occurs in childhood and is associated with severe allergy symptoms. Increased specific IgE against particular storage proteins and walnut fractions correlate with systemic and thus severe allergy symptoms. Apart from one allergen (rJug r 5), levels of the specific IgE against walnut extracts and walnut components were higher in study participants younger than 14 years of age than in older participants. Furthermore, all participants younger than 14 years of age developed severe allergy symptoms whereas 38 percent of the study participants aged 14 and above showed only mild reactions. Those with severe allergy symptoms showed higher specific IgE levels against walnut extract and against most of the walnut components studied. "Based on in-vitro investigations, the current findings can help to evaluate the severity of walnut allergy more precisely than in the past and to develop targeted approaches for specific immunotherapies," states Professor Stefan Vieths, vice president of the PEI, when explaining the significance of the study.